I’m passionate about feeding my family high quality food. At its very essence, we are what we eat. Our health is directly affected! Organic produce, non-CAFO meat and minimally processed foods dominate my grocery list. Cooking, however, is the bane of my existence. In my sixteen year tenure of being an at-home mom, I have learned to embrace it. Reluctantly. I even get in the mood to create something new on occasion. But you’ll never see recipes on my blog. And if you list recipes on your blog, I’ll give them a passing glance–usually accompanied by a wish that someone would prepare that yummy concoction for me. With cooking being a chore, it may puzzle you that a visit to a local farmers’ market is a “must” when traveling with my family. We’re on vacation, after all. Who wants to cook? Open-air stalls of beautifully presented fruits and vegetables, enthusiastic farmers and inspired shoppers are enticing. But these markets offer the traveler much more than tables of produce. 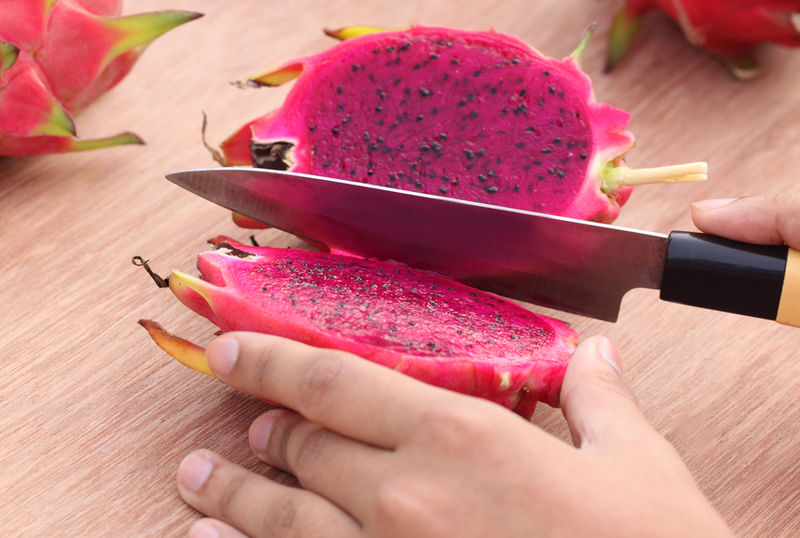 Taste the pink flesh of a dragon fruit. By virtue of being completely out of our home environment, we open ourselves up to new possibilities. Sampling a new fruit is a joy–even for kids! Lychees, dragonfruit, and rambutan wowed my kids with their bold colors, funky shapes and interesting flavors during our recent trip to Hawaii. You don’t have to travel far, however, to enjoy sampling interesting foods. That spirit of trying something new can accompany you wherever you go. 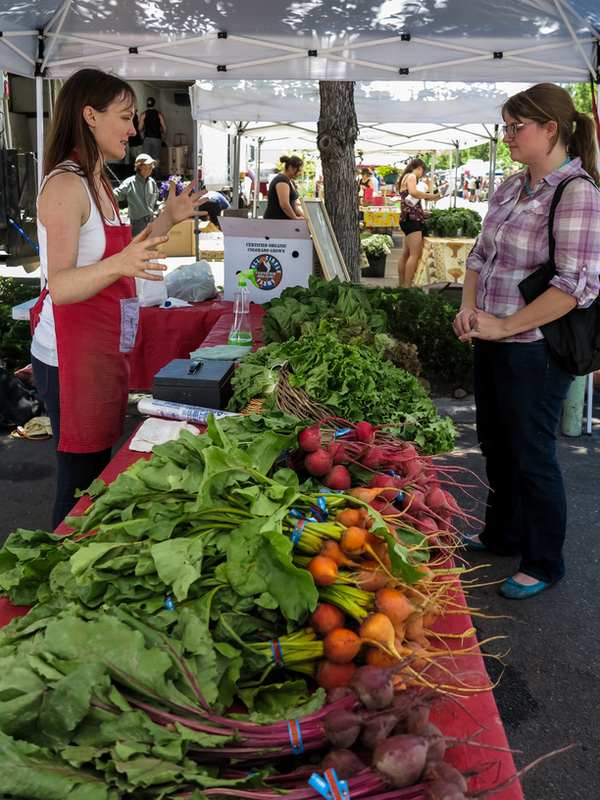 Local farmers and food producers don’t just provide samples and information on their practices, they offer the opportunity to get to know a local in a small way. Rubbing shoulders with fellow shoppers can foster such a connection as well. Happenstance conversations have great possibilities! Sometimes it means you walk away from the market with a new way to prepare a food. What could we do with pea shoots, we wondered. At the suggestion of a farmer, we placed our steaming hot filets of fish on a bed of them. Voila! A delicious entree we wouldn’t have come up with ourselves. On other occasions, we have learned about off-the-beaten path restaurants, hikes, beaches and new tips for touring the local area. What a bonus! The buck stops here. Your questions about ingredients and safe practices answered! As a mother of a child with celiac disease and a food allergy, specialty foods are a big draw. Homemade salsas, spicy sausages, fresh baked breads, artisan cheeses and loose leaf teas, there’s so much to try! The big bonus? I can talk directly to the person who made the salsa or roasted the Macadamia nuts to find out if their ingredients and practices are safe. My peanut-allergic son tried Macadamia nut brittle, a product normally loaded with peanuts! He sampled chocolate bars made by a local farmer who personally oversees this process from beans to final product. This is an opportunity unsurpassed for a person with serious food restrictions. The entertainment can take you by surprise. I remember taking our kids to the farmers’ market in Santa Monica. Pony rides captured my young children’s attention while we tag-teamed the shopping. What a bonus! Many markets delight visitors with live music and entertainers. You might find a cooking demonstration offered by a local chef, too! In more touristy areas, farmers’ markets often have information stands with brochures on local entertainment, dining and shopping, which can be quite useful! Locally made souvenirs at great prices. We brought lots of macadamia nuts, mac nut brittle, coffee and teas back from Hawaii to give to friends and relatives as gifts. But we have purchased non food-related items at farmers’ markets over the years, too. 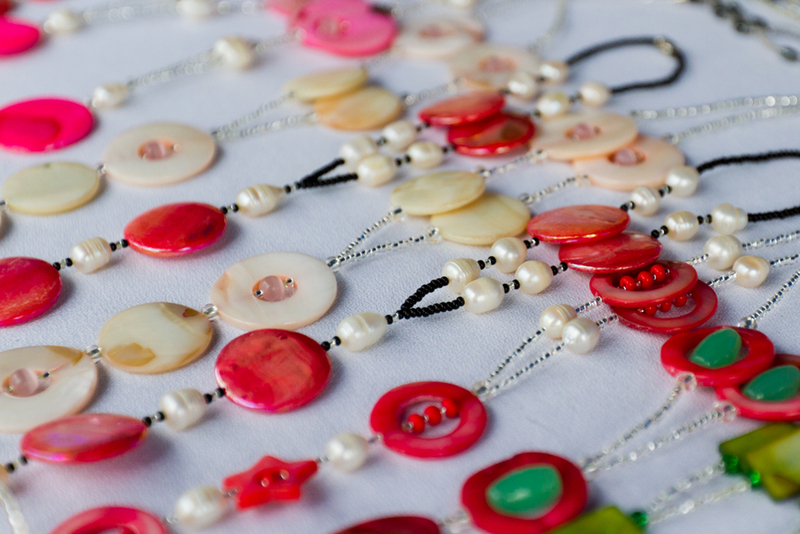 Knit scarves, artfully created jewelry with hand-made beads or locally sourced stones, tiny paintings of the local area and so forth. So many possibilities for unique gifts! The prices are often much better than those offered in local shops. And what a great way to support local people in your travels. Food trucks can offer affordable and tasty meals. Seeing rows of colorful produce, salsas and aromatic breads can generate quite an appetite! With kids, that hunger isn’t easily postponed. Food trucks are popping up around the country, offering interesting options. We’re not talking corn dogs and cheese fries here. Many trucks offer creative cuisine! After some questions, we usually have to pass-up on the food trucks with food allergy and celiac related concerns. But if this isn’t your issue, by all means, partake! In our early years of traveling, we often stopped for quick and easy food so that we could get to our next destination as quickly as possible. But having a child with diabetes made us think twice about this practice. N’s blood sugars were often adversely affected by these starchier food options. In our quest to be healthy, we now create itineraries that include some well vetted stops for dining out. These establishments must be celiac and peanut allergy friendly. And we return home at the end of the day for home-cooked meals. This is much more economical! Nice restaurants charge less for lunches than they do for dinners. 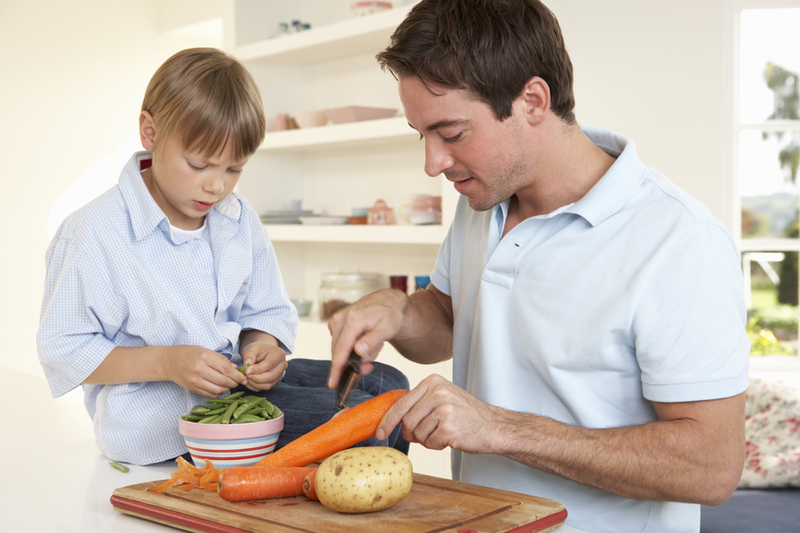 Eating more healthful options means better blood sugars for my son and better health for all of us. On our last family trip, all of the fabulous farm-fresh produce and meats went straight into the kitchen of our condo–along with my husband! He prepared each and every meal while we were away. Dreams do come true! So, accomplished chefs and those not-so-accomplished: I hope you’ll enjoy the wonders of a farmers’ market on your next family trip! May the joys include a person to prepare your high-quality food, if your heart so desires. Happy Travels!